The non-vestibule (non-corridor) coach kits are part of our new polished 3D print 'Ultima Pro' range, designed to be very fast to build and to push coach kits to a new level but without the compromises usually associated with 3D printing. One of the hardest part about building a kit coach is the bogies. These	kits use pre-assembled Dapol RTR bogies with foot-boards. The bogies are pre-assembled and include pickups for those wishing to fit coach lighting. They simply clip into the coach shell. The latest models use NEM pockets with all your choice of coupling systems including the new Dapol magnetic couplers. These kits come with clip on bogie mounted NEM coupler pockets. 3D print is associated with grainy lumpy surfaces. Our kits instead combine a smooth machine polished surface for areas without detail and etched glue on overlays so you get the quality of an etched finish but with an easy construction. The coach shell is slotted to allow the fitting of clear glazing behind the etch. This keeps the flush glazing benefits of etched sides as compared with resin or pure 3D printed vehicles. Rather than compromise with poorly detailed and fragile printed on roof ventilators the kits use the existing Ultima plastic ventilators, but with the roof pre-holed ready to take them. Likewise glue on etched trussing is provided rather than over-thick and fragile printed parts. The coach shell includes the seating, compartment dividers and even the armrests saving you the challenge of building an interior for your model. We've even included the floor slots and roof channel for those wanting to add coach lighting. These kits include a one piece polished 3D printed coach shell including interior partitions and seating (as well as arm rests where appropriate), a polished 3D printed roof pre-holed correctly for fitting ventilators and detail, etched sides, white metal and 3D print detailing parts, Dapol bogies (clip fit into the coach body), and NEM coupling adapters. All you need is paint, glue, your choice of NEM couplers and decals. All the quality of etched sides, none of the pain. Diagram 48 All First. Built From 1823 this represents the standard version of the coach with armrests. The GE section coach with end armrests only is available as a special order, please contact us. Built from 1927 onwards. These coaches had a uniquely LNER design where the first class and third class each had a corridor and access to a toilet but no ability to walk between first and third. The standard third class coach. Built from 1926 onwards these coaches formed the backbone of the non-vestibule stock. Non-Vestibule full brake. 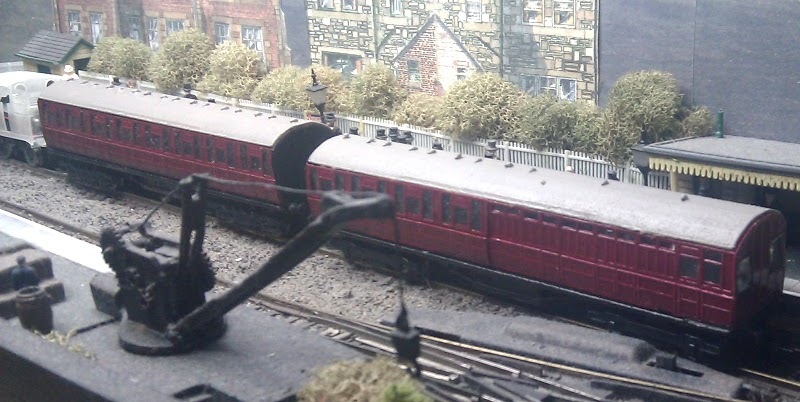 These coaches were ran on GNR style Fox bogies rather than Gresley bogies. This kit has mounts for a 2mmSA Fox bogie and does not include bogies. With a ducket added it can also represent early members of Diagram 129. Converted from first class coaches the diagram 189 vehicles had the armrests removed in the third class section. The compartment size however remained unchanged. The LNER converted a small number of vehicles for use as push-pull trailers. This kit builds a four compartment brake third push pull conversion. Articulated double third. Built 1929. Articulation was perhaps the signature of the LNER coaching design under Gresley. This kit builds an articulated coach pair with three Dapol bogies. Articulated brake third/lavatory composite built 1929-1930. British Rail rebuilt six Gresley non vestibule coaches as CCT car carriers. They served in this rôle for a few years before entering departmental service. One 96202 has been preserved and restored to its original CCT condition.